#TechHer was born out of a need to see women in Abuja come together to work, support each, and learn together. We realized there was no platform for women working in and around digital (especially in Abuja) to share ideas, experiences, challenges etc. for a number of reasons including the perception that technology is the exclusive preserve of male folk. Where others saw a deficiency, we saw an opportunity and the product of that idea shared with friends, family, and partners, is this website, the inaugural event holding in Abuja on the 28th of August 2015, and hopefully, the birth of a true support group for young girls currently hoping to get into technology or STEM. 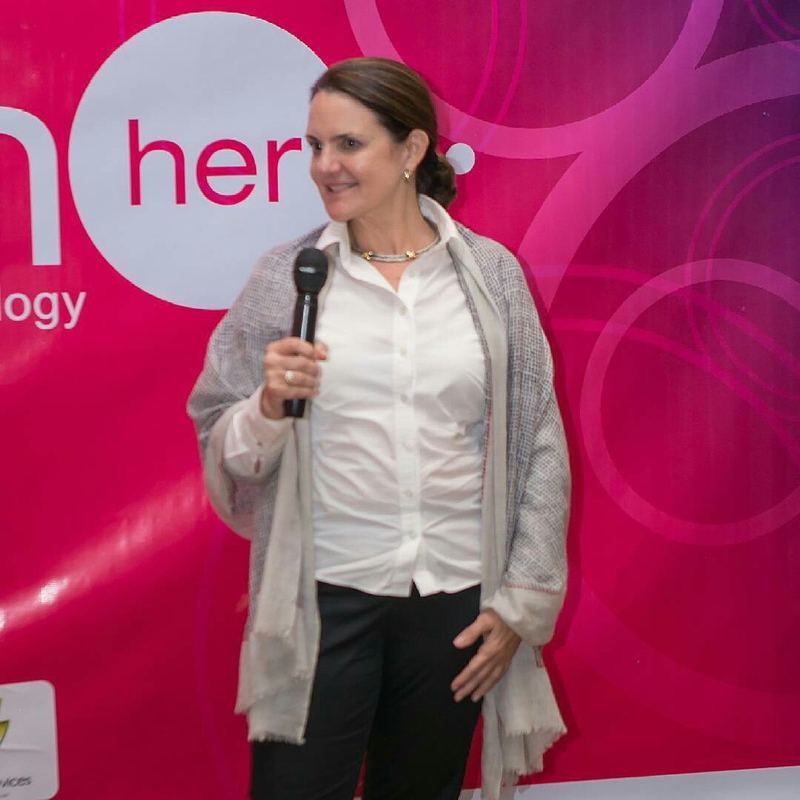 We are super excited about #TechHer because it was borne out of a need and is (and will always be) driven by passion. Initiating a community, nurturing a dream and seeing it come to reality is something we cannot but be thankful for. What we are most amazed at however are the responses we’ve gotten! When we started planning, our modest expectations didn’t exceed 30 – 40 people at most. Imagine our surprise when we had over 50 people register on the first day! That number has since grown to over 110, and we now have the pleasant problem of space! Let’s not even talk about having to reopen registration because we had too many requests for that! Blessing Orazulume: She is a programmer and software developer at Andela and is proficient with building web apps, mobile apps and also website. Blessing will be teaching software development. Nana Nwachukwu: She is an Information Technology and intellectual property lawyer. She successfully completed a project on standards for ICT in Holograms and Barcodes for Nigeria. Nana will discuss the marriage between law and technology. Anna Egbagbe: Anna is a digital marketing consultant and trainer with experience that cuts across various industries such as financial, real estate and Non-Profits. She has extensive marketing/PR experience and consumer engagement with brands on digital platforms. Anna will give insights on Digital Marketing. Dumebi Chukwuka: A confident, highly driven IT Project Manager with years of experience in managing Federal, State and private projects that have varied from hardware to software implementation. Dumebi will focus on Digital Storytelling. We’re looking forward to a goodwill message from the Swedish government, and a welcome address by Jackie W. Farris, Executive Director of the Shehu Musa Yar’Adua Foundation. If you can’t be in the room, don’t worry! We’ll be live streaming both for screens and for radio, thanks to the guys at HolyHill Church and Amplified Radio. We’re also grateful to all our partners and supporters, where would we be without you? Here’s to women, to technology, and the birth of great things. #TechHer is powered by CC Consulting Services. ⟵Farida Bedwei: Impossible is nothing!